Scabiosa ‘Crown’. A Spanking Gorgeous Addition To Your Cut Flower Garden. It will no doubt stun you into having to have a little sit down, that Scabiosa is in fact a member of the teasel family…odd but true. They are closely related to Knautia but not being a botany boffin I can’t elaborate on that. What I can tell you is it is a rather ravishing number and you shouldn’t be without it in the cutting patch. They also happen to be very rich in nectar and you will see bees flocking…er….swarming rather, to your garden. The wonderful Victorians named it the ‘Pincushion flower’ because of the fact it looked like one…and presumably, they were fond of pincushions. 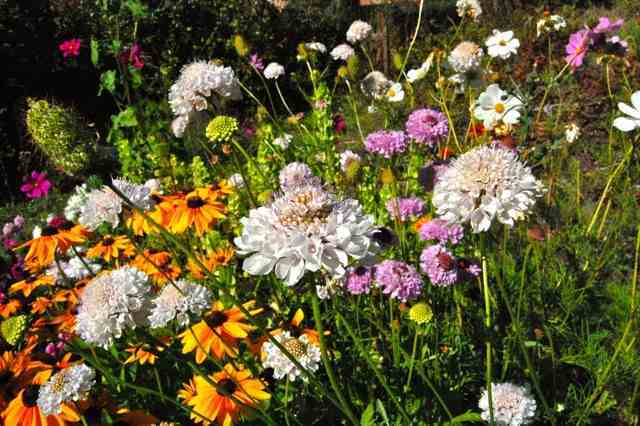 Scabiosa is a short-lived perennial…but forget I said that and treat it as an annual, sowing fresh seed every year….it will perform much better this way. It is hardy so one can make an Autumn sowing as well as a spring one. With dead heading they will go right on well into November and will take the first couple of wimpy frosts without a quivering lip. Scabiosa ‘Crown‘ is a tall cutting mix…good strong stems and beautiful flowers in crimson, purples and creamy whites. Remember…keep cutting them and they will keep producing flowers for you. I use them in the vase with almost anything…they are very social little chaps…they are especially lavish with slinky Gypsophila ‘Covent Garden’ and the bright funky oranges of Eschscholzia Orange King. 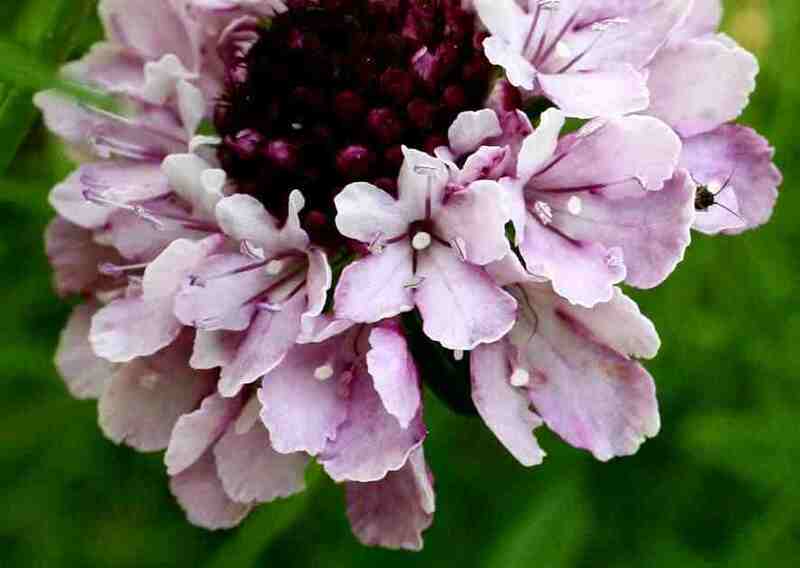 How To Grow Scabiosa From Seed. *For my own purposes I have found it best to start scabiosa seeds off inside. Though it is perfectly acceptable to sow them straight into the ground…if doing this leave it until mid-April when the soil has warmed up a little. 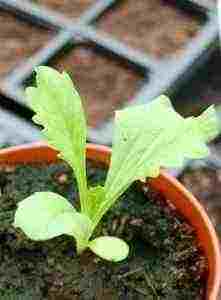 *I sow in small pots, usually three-inch modules. *Gently cover the seeds by their own depth with good quality seed compost (I use sieved home-made compost where possible) and keep the compost damp but not saturated. *They like dark, warmth, and moisture to get into the spirit of things. 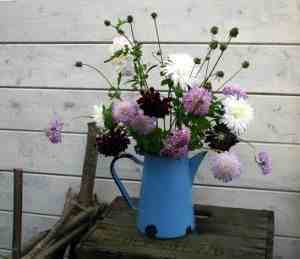 *Leave your pots on a windowsill or in a greenhouse…or in the back of the car as I did last year. *Six weeks later it will be mid-May and this is the last frost date for most of England…Scotland is later…the west of England may be a little earlier. Your scabiosa plants should be big enough to go out into the real world…get them used to the change of temperature though…pop them outside during the day for about a week and if a particularly cold couple of days is forecast, just hold off and leave them inside a little longer. *For a cutting garden, I leave about a foot between plants and plant them in straight rows…this makes hoeing around them a WHOLE lot easier. Didiscus ‘Lacy’ From Seed For The Cut Flower Garden. A Cornish Winter Hedgerow. Guest post by Sian Pickles.